We offer a maintenance package available for 20% or the purchase price due yearly. The first maintenance charge won't be billed until a year after the initial activation. With years of experience in the industry, we specialize in developing software for structural steel fabrication. (c) 2017 ATek Automation llc, All Rights Reserved. Our Download comes with a free 10-day trial for the Part Viewing Package. The Viewer Module will import DSTV and DXF files to be dimensioned and viewed in 2D or 3D. Purchase a license for the Part Viewer for only $99! We offer separate packages that will unlock different features based on your company's needs. Our most popular is the Structural Part Editor which will allow you create and edit parts. Our optional software maintenance plan will get you free upgrades to new versions as they are released and professional software support by phone or by email. Click below to learn more. Accurate and reliable measurements are generated with our auto-dimensiong to help you quickly and easily verify that your parts are correct. You can even save or print these dimensions using our PDF exporting. 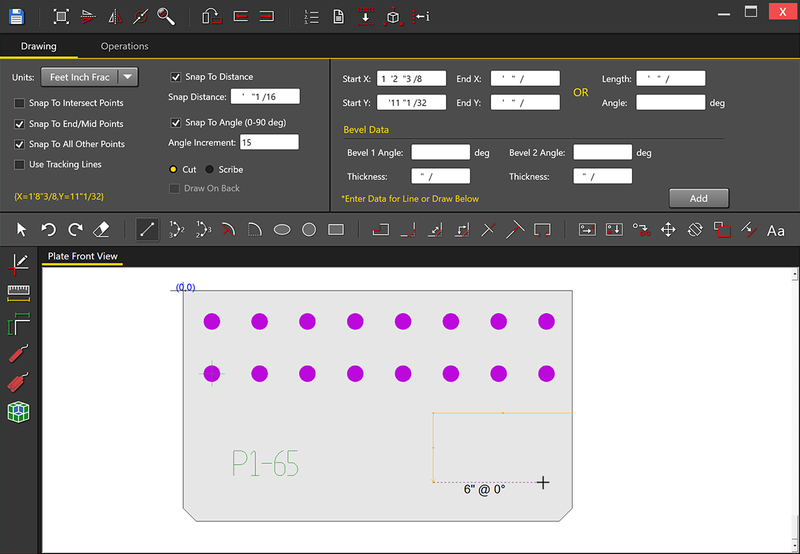 Check parts in 2D which incudes a split-view and a tab-view, or view parts rendered in full 3D to see the finished part. 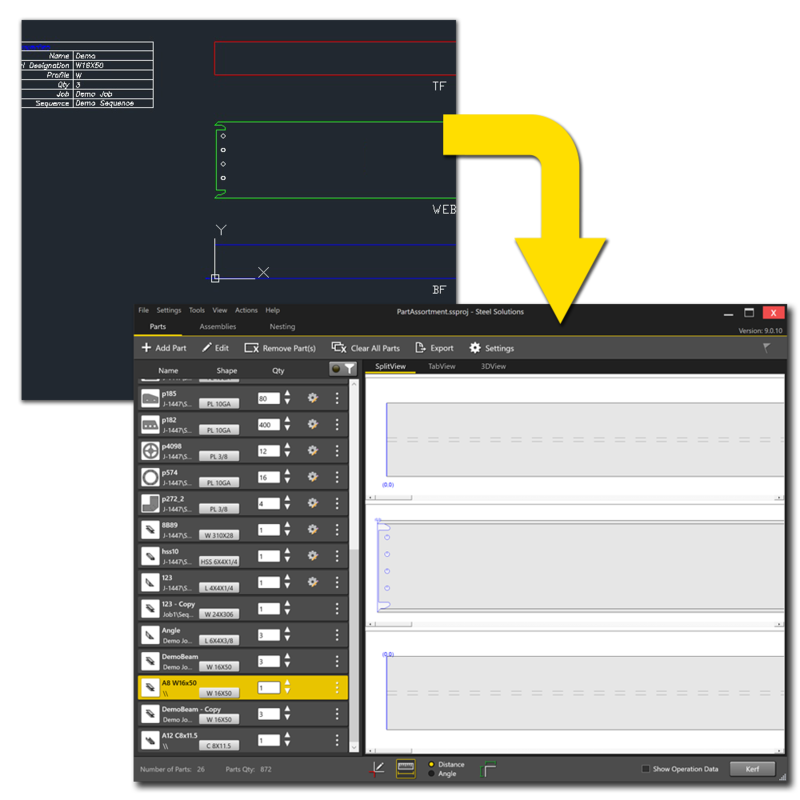 Our new part editor comes complete with an array of drawing tools and programmable operations for building new parts or editing existing ones. Automated part improvement includes path smoothing and scribe trimming as well as checking for duplicate operations and bad connections on a part. Steel Solutions will automatically generates leads based on thickness, leads can be changed for each individual path or modified all at once. We now offer Structural DXF Importing as an optional add-on to most of our available packages. Import structural DXF files from Auto-Cad including beams, angle, channel and tubing to edit and export as DSTV. 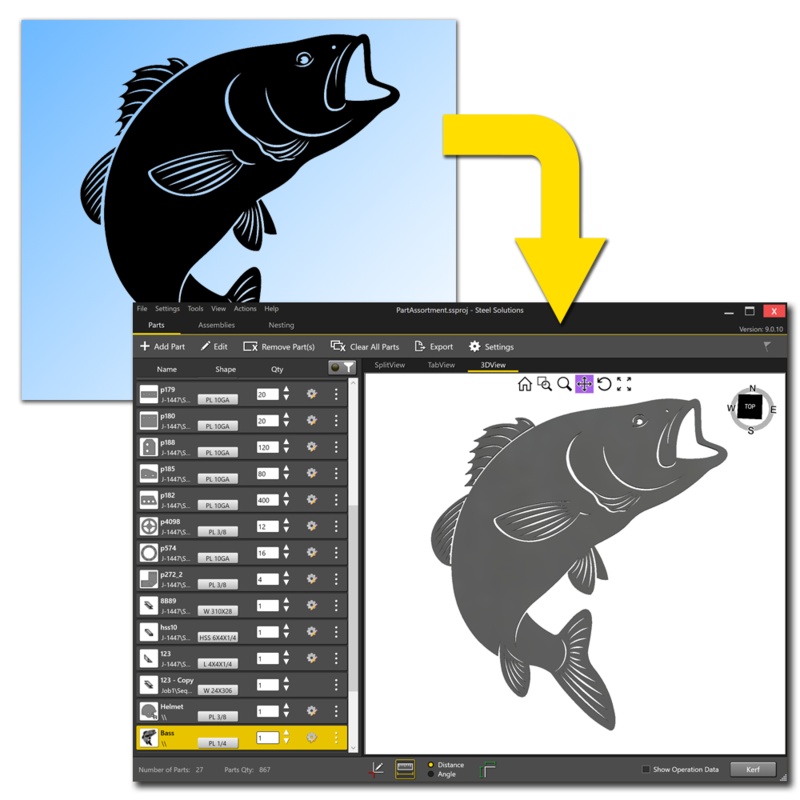 Another recently added feature is the ability to import Vector Graphics files(.svg). Easily scale and edit these parts once they're imported using our built-in array of drawing tools. Export assemblies from Tekla with our newly redesigned Assembly Export Module. Select and search for specific assemblies or Export all assemblies at once. as: true-shape plate nesting, part-in-part, and the built-in optimizer. solutions and available for nesting. complete a job. Also, compare results between block and true shape nesting. (c) 2018 ATek Automation llc, All Rights Reserved.